Although they are highly trained, they confuse, undermine, betray and royally screw each other over. In all honesty, the mother/boss Malory is so money hungry she will do just about anything for it even front an illegal spy agency for clout and status. That's right, ILLEGAL! The good thing is she’s actually a spy and has a lot of high up connections to get her out of not so savory dealings. They go up against international danger and yet seem to come out ahead in the end, well sometimes. That's because they are actually knowledgeable about what they do but luck does play a big part in that and they will do just about anything for each other. 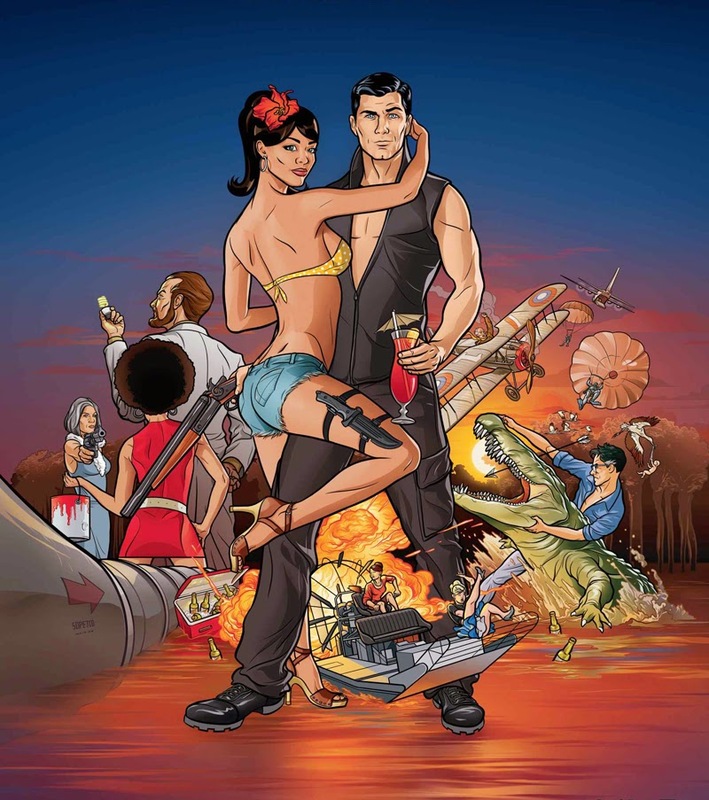 Especially Lana and Archer, who as much as they want to deny it, are still crazy for each other. 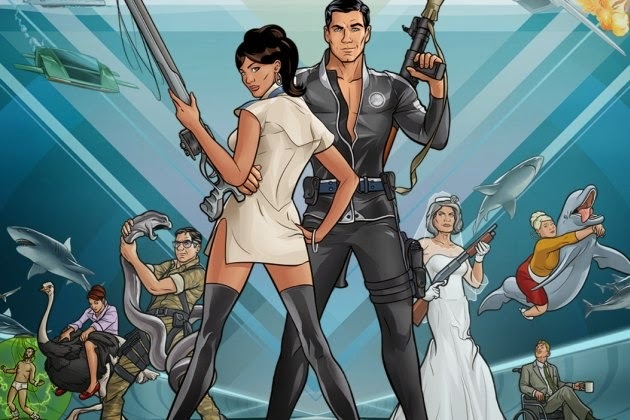 The show Archer is so dysfunctionally wrong as it dives into stereotypes and lives there. I can't help but find humor in how blatantly rude the characters are to each other by crude phrasing, saying "shut up" all the time or the the idiotic mishaps they get themselves into. And yet they need each other and their craziness to function. As much as they bicker, fight, lie and cheat they would not know what to do without the other. This show is my humor crack that I just can't get enough of. We all have at least one. 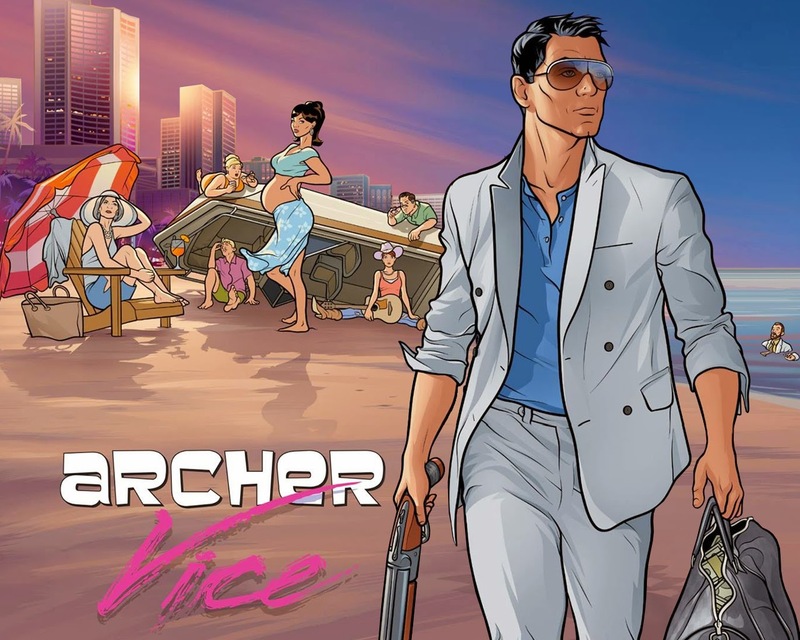 I cannot wait for the 6th season premiere today, January 8th 2015.